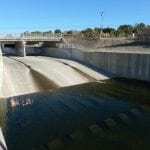 South Coast Steelhead Coalition | California Trout, Inc.
One of the most significant fish passage barriers in Southern California is the Interstate 5 (I-5) Bridge Array on Trabuco Creek, a major tributary to San Juan Creek in Orange County. 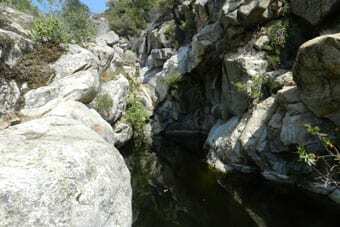 Fish passage at this project site has among the greatest potential in the region to contribute to recovery of the endangered Southern California steelhead. 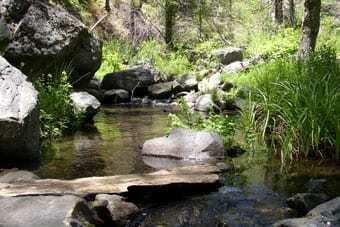 Once the fragmented habitats are reconnected, the impacts are unlikely to reoccur and will leverage upstream fish passage barrier removal in the public lands of the Cleveland National Forest. 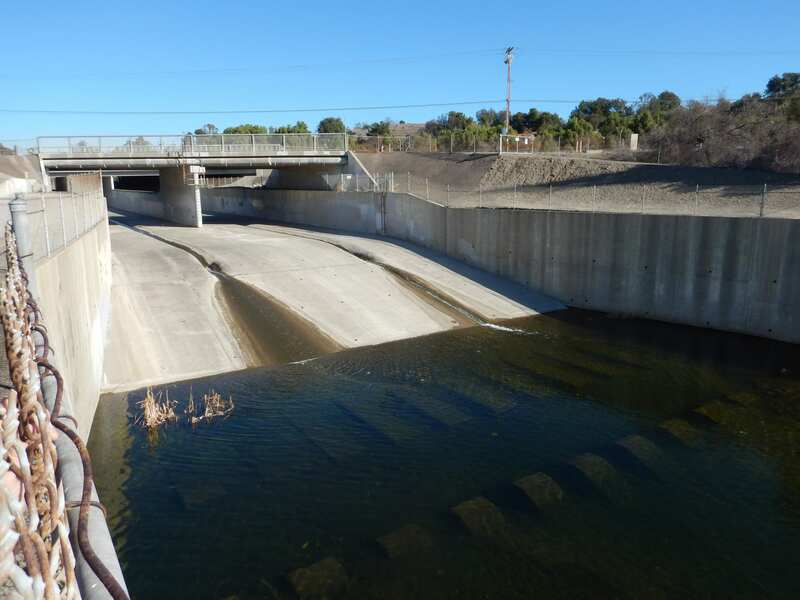 CalTrout is implementing Phase 1 of this project which entails technical studies and engineering design for passage of juvenile and adult steelhead through this complex fish passage barrier. 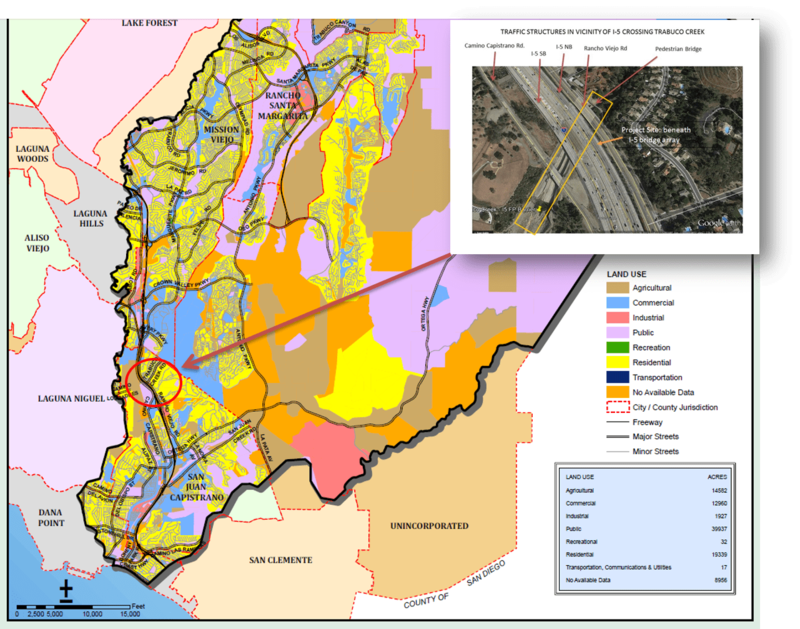 This project will integrate into large-scale channel infrastructure water supply and flood control projects in South Orange County. Promoting conservation stewardship and steelhead awareness in the local community through public outreach events and social media. Continued to engage the 20+ state and federal agencies, NGOs, Tribal Nations and other stakeholders of the South Coast Steelhead Coalition in recovery of endangered Southern California steelhead. 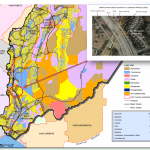 The South Coast Steelhead Coalition (formerly known as the SanDOC Coalition) is focused on endangered Southern California Steelhead recovery in San Diego and Orange Counties. 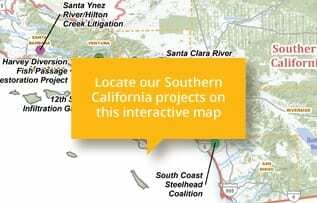 The Coalition’s work is guided by the National Marine Fisheries Service’s 2012 Southern California Steelhead Recovery Plan and is implemented collaboratively by participating non-profits, government agencies and other regional stakeholders. Coalition members and participants meet quarterly to advance recovery actions and projects aimed at improving watershed health in the region. Recovery actions include projects to remove invasive species, modify fish barriers, and improve water quality and watershed ecosystem health. The Coalition also hosts a minimum of four public outreach events to educate the community on the history of Southern California Steelhead. Environmental organizations, fishing clubs, government agencies and other stakeholders interested in participating or joining te coalition should contact Coalition Coordinator, Sandra Jacobson at sjacobson@caltrout.org.